Sport has allowed Zoe to grow in confidence and developed her communication and problem solving skills. As part of This Girl Can Week, Zoe tells us her best sporting achievement and why she believes physical activity is so important. What is your best sporting achievement? - Sport has played an important role in my life from a young age as it helped me to gain so many skills. I think people often ignore the practical benefits that playing a sport can give, such a team work, communication, problem solving and determination. I would say confidence is the one thing sport has given me as it allowed me to put myself out there in a situation I might not feel completely comfortable in and overcome it. I believe it is very important for women to be well represented in sport as this will help build confidence in young women to take part in sport and open doors that potentially would have never been explored. I find sport is a great way for me to de-stress and unwind from the stresses of final year. Badminton is an especially good way to let off some steam and disconnect from studying. Playing sport is also a great way to help add structure and routine to your life which helps to make you feel productive and gives individuals a sense of achievement outside of the classroom. What would you say to someone who is hesitating to try a new sport or activity? Just give it a go! 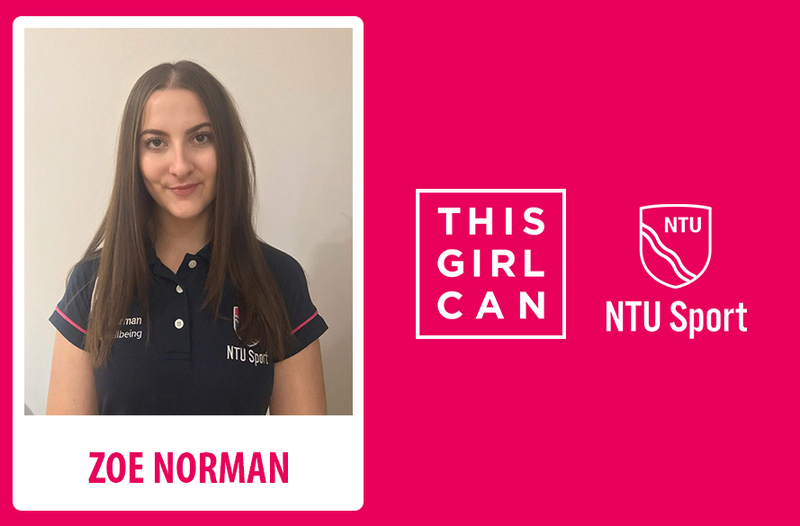 I didn’t get involved in sport at NTU until my second year at university and I regret that I didn’t join a club sooner. I have tons of great memories and friends from joining a club at university and I would encourage anyone debating it to do it as soon as possible. My mum is my biggest role model in life as she has taught me a lot of skills which have helped me to grow into the person I am today.